I tried so hard to be a good genea-boy this year. I worked hard speaking all over Southern California and teaching at OASIS, serving my local societies, editing and writing my society newsletter and over 900 blog posts, participating in some Google+ Hangouts On Air, attending two genealogy conferences and several all-day seminars, watching webinars, and helping several friends and colleagues with their research. In addition, I have added more names, facts, media and (especially) sources to my database. Thank you for last year's gifts - a Chromebook (theoretically for my wife), some nifty genealogy books and a new tablet. That was really good stuff...but you didn't bring me the other things I asked for. Was I a bad genea-boy, or maybe you thought I had enough, or you were out of the other things. I'll ask for them again! * A genea-robot that can work 24 hours a day on getting my genea-piles organized - that is so boring and there is so much to do ... but a robot would not have to sleep or eat or spend time with my wife (I promise!). Maybe I could even train it to write blog posts. Or enter Find A Grave and census source citations. Or search Ancestry, MyHeritage, Findmypast and FamilySearch for new ancestral records. * That Ancestry reduces their many indexing mistakes, and fixes all of their source citations to Evidence Explained standards. 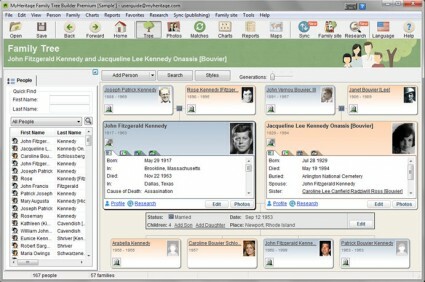 * That FamilySearch releases Connecticut and Rhode Island digitized probate and deed files. * That FamilySearch fixes the FamilySearch Family Tree problem with duplicate individuals that cannot be merged. * That AncestryDNA provides a chromosome browser so we could triangulate matches better. * A solid lead on the ancestry of: William Knapp (1775-1856), Thomas J. Newton (ca 1800-ca 1840), Devier James Lamphear Smith (1839-1894), Martin Carringer (1758-1835), and Hannah Smith (1768-1827) would be welcome too! * Good health for my family and all of my genealogy friends and their families. I am in the 8th great-grandmothers and I'm up to Ancestor #1185 (skipping 1181 and 1183) who is \Elizabeth LNU (1615-1694) [Note: the earlier great-grandmothers and 8th great-grandfathers have been covered in earlier posts]. 1184. Richard Sawtell, born before 07 April 1611 in Aller, Somerset, England; died 21 August 1694 in Watertown, Middlesex, Massachusetts, United States. He was the son of 2368. John Sawtell and 2369. Agnes Pittard. He married about 1637 in Watertown, Middlesex, Massachusetts, United States. 1185. Elizabeth LNU, born about 1615 in England; died 18 October 1694 in Watertown, Middlesex, Massachusetts, United States. i. Elizabeth Sawtell, born 01 May 1638 in Watertown, Middlesex, Massachusetts, United States; died before 1692 in Groton, Middlesex, Massachusetts, United States; married Daniel Sterling. ii. Jonathan Sawtell, born 24 August 1639 in Watertown, Middlesex, Massachusetts, United States; died 06 July 1690 in Groton, Middlesex, Massachusetts, United States; married Mary Tarbell 03 July 1665 in Groton, Middlesex, Massachusetts, United States; born about 1645 in Watertown, Middlesex, Massachusetts, United States; died 25 April 1676 in Groton, Middlesex, Massachusetts, United States. iii. Mary Sawtell, born 19 November 1640 in Watertown, Middlesex, Massachusetts, United States; died 22 March 1665 in Charlestown, Suffolk, Massachusetts, United States; married Joseph Johnson 19 April 1664 in Charlestown, Suffolk, Massachusetts, United States; born 12 December 1636 in Charlestown, Suffolk, Massachusetts, United States; died 18 November 1714 in Haverhill, Essex, Massachusetts, United States. iv. Hannah Sawtell, born 10 December 1642 in Watertown, Middlesex, Massachusetts, United States; died 18 February 1723 in Woburn, Middlesex, Massachusetts, United States; married Increase Winn 13 July 1665 in Woburn, Middlesex, Massachusetts, United States; born 05 December 1641 in Woburn, Middlesex, Massachusetts, United States; died 14 December 1690 in Woburn, Middlesex, Massachusetts, United States. v. Zachariah Sawtell, born 26 July 1644 in Watertown, Middlesex, Massachusetts, United States; died before 17 March 1692 in Groton, Middlesex, Massachusetts, United States; married (1) Elizabeth Harris 13 April 1668 in Malden, Middlesex, Massachusetts, United States; died about 1678 in Watertown, Middlesex, Massachusetts, United States; married (2) Anna Parker before 13 July 1684 in probably Chelmsford, Middlesex, Massachusetts, United States; born 16 November 1663 in Chelmsford, Middlesex, Massachusetts, United States. vi. Bethia Sawtell, born about 1647 in Watertown, Middlesex, Massachusetts, United States; died 12 October 1714 in Watertown, Middlesex, Massachusetts, United States; married John Green 27 January 1702 in Watertown, Middlesex, Massachusetts, United States. vii. Obadiah Sawtell, born 14 September 1648 in Watertown, Middlesex, Massachusetts, United States; died 20 March 1741 in Groton, Middlesex, Massachusetts, United States; married Hannah Lawrence about 1680 in Watertown, Middlesex, Massachusetts, United States. viii. Ruth Sawtell, born 1650 in Watertown, Middlesex, Massachusetts, United States; died 12 January 1720 in Lexington, Middlesex, Massachusetts, United States; married John Hewes 09 March 1677 in Watertown, Middlesex, Massachusetts, United States; born about 1653 in Scituate, Plymouth, Massachusetts, United States; died 15 December 1721 in Lexington, Middlesex, Massachusetts, United States. ix. Richard Sawtell, born about 1653 in Watertown, Middlesex, Massachusetts, United States; died 09 August 1676 in Watertown, Middlesex, Massachusetts, United States. x. John Sawtell, born about 1655 in Watertown, Middlesex, Massachusetts, United States; died before October 1700 in Watertown, Middlesex, Massachusetts, United States; married Elizabeth Post about 1675 in Watertown, Middlesex, Massachusetts, United States; born about 1650 in Cambridge, Middlesex, Massachusetts, United States; died before 07 October 1700 in Watertown, Middlesex, Massachusetts, United States. xi. Enoch Sawtell, born about 1656 in Watertown, Middlesex, Massachusetts, United States; died 01 March 1742 in Watertown, Middlesex, Massachusetts, United States; married Susannah Randall about 1686 in Watertown, Middlesex, Massachusetts, United States; born in Watertown, Middlesex, Massachusetts, United States. 1) John B. Threlfall, 50 Great Migration Colonists to New England (Madison, Wis. : by author, 1990), pages 343-352; has English ancestry. 2) John B. Threlfall and Dale C. Kellogg, "Richard Sawtell of Watertown, Mass. and Some of his Descendants," New England Historical and Genealogical Register, Volume 126, number 1 (January 1972 and following issues). Has genealogical data and limited biographical data on the families. 3) Henry Bond, M.D., Family Memorials: Genealogies of the Families and Descendants of the Early Settlers of Watertown, Massachusetts (Boston, Mass. : Little, Brown & Co., 1855) has family data and brief biographical data. As you may have heard, Ancestry® has recently announced that it will no longer sell its Family Tree Maker® (FTM) software as of the end of this month, with further plans to discontinue support for the program. At MyHeritage, we believe there is still a place in the world for genealogy software, and there is value in the ability to work offline, and enjoy more powerful functionality that many websites cannot offer. We also believe that people should be able to discover and preserve their family history on whatever platform they are comfortable with. That's why we are constantly innovating new technologies and enhancing our website, mobile apps and our Family Tree Builder genealogy software. So for all disappointed FTM users looking for alternative genealogy software, look no further! MyHeritage Family Tree Builder is the ideal tool to continue growing your family tree, and open new frontiers of research. You'll enjoy its innovative technologies and easy-to-use features. Family Tree Builder is FREE and you can use it to build a tree of up to 100,000 individuals on your computer. This is not an imposed size limit, but rather a technical limitation, but if you have a larger tree, you can use our new version that's in beta. Family Tree Builder is also available for Mac through the Family Tree Builder Mac Extension. Former FTM users: after installing Family Tree Builder, we recommend that you sync your family tree with your MyHeritage family site. You'll get many benefits such as enhanced Smart Matches and Record Matches, ability to view and edit your tree using our free mobile apps, robust online backup of your tree data, and more. If you choose to sync, we will be happy to gift you with unlimited tree size capacity on your online family site, which is normally limited to 250 individuals on a free account. Simply email our support team at upgrade@myheritage.com to ask for this free upgrade. Feel free to email us if you have any questions regarding the transfer of your data to Family Tree Builder. To proceed, export your current family tree from FTM or Ancestry® into a GEDCOM file, download and install Family Tree Builder using the links above, import your GEDCOM into Family Tree Builder, and let the good times roll. For assistance on how to export your current tree as a GEDCOM file from another genealogy software or website, read our quick step by step guide. Family Tree Builder 7.0 features full tree syncing, Smart Matches and Record Matches, photo tools, charts, maps, consistency checks and much more. In early 2016, we will release Family Tree Builder 8.0, which we have been developing for the past two years. Some of our power users are currently testing it in beta, and are enthusiastic about the new version's improvements. We've invested significant resources to rewrite the program's internals in order to support very large family trees (up to 500,000 individuals), with faster performance. This is an excellent opportunity for Family Tree Maker users to retain a synchronization capability with their online family tree. Note that users would receive the free Family Tree Builder 7 genealogy software AND a free MyHeritage family tree site. In order to search MyHeritage record collections and receive Smart Matches (with other MyHeritage tree persons), Record Matches (with records), and Instant Discoveries (additional relatives of tree persons), a user will have to subscribe to their Data Plan subscription, which is $120 per year retail as I recall. John Putman (1785-1863) is #126 on my Ahnentafel list, my 4th great-grandfather, who married #127 Sarah Martin (1792-1860) in 1810. * their daughter, #31 Mary Jane Sovereen (1844-1874) who married #30 James Abraham Kemp (1831-1902) in 1861. The data presented on the Putman family was obtained from Mark Putman, who publishes the Putman Family Bulletin. One of his publications, "Descendants of David Janse Putman, son of Johannes Pootman of Schenectady, New York," covers the present ancestral line. Additional information was obtained from Mark Putnam's web site http://www.putmanfamily.org/Family/David%20Janse%20Pottman.pdf (as of October 2015). The John Putman sketch is on pages 57-59. "John Potman" was born 27 September 1785 to "Peter Potman" and "Sarah Canaan," and was baptized 13 November 1785 at the Walpack Dutch Reformed Church (also known as the Walpack Congregational Church) in Walpack, Sussex County, New Jersey. He married Sarah Martin in about 1810, probably in Seneca County, New York, where the Peter Putman had moved. John and Sarah Putman moved to Steuben County, New York between 1810 and 1820. Their children were probably born in Wayne Town, Steuben County, New York. John Putman seems to have lived in the "Houck Neighborhood," a couple of miles northwest of the Village of Wayne, New York. The Town of Wayne was noted for its pine lumber, and large rafts of lumber were float from Mud Lake below the Village of Wayne, down Mud Creek to the Susquehanna that loggers built between 1810 and 1830 and floated down Mud Creek to the Susquehanna River, Pennsylvania, and Maryland. About 1834, John Putman, with his brother Isaac Kinnan Putman, moved his family to Fredericksburg (later called Delhi), Norfolk County, Ontario, named after Frederick Sovereign, an early settler. John Putman may have followed the lumber trade from Steuben County, New York to Norfolk County, Ontario, since many of John's sons were lumber men. John Putman and Isaac Kinnan Putman pledged an oath of allegiance to Canada, recorded in Norfolk County in 1842. On 1 November 1839, Deacon Frederick Sovereign, Deacon William McLennan, and John Putman were elected by the Middleton Baptist Church of Delhi to attend a council convened to ordain Samuel Smith. * Sarah Putman - born in State New Jersey, Religion is Baptist, Residence is Middleton, age 58, female. 1. Mark R. Putnam, "David Janse Pottman, Also Known as David Potman and Putman," The Putman Family Bulletin (http://www.putmanfamily.org/ : accessed 22 January 2015), John Putman sketch, pages 57-59. 2. 1820 United States Federal Census, Population Schedule, Steuben County, New York, Wayne town; online database, Ancestry.com (http://www.ancestry.com), Page 251, citing National Archives Microfilm Publication M33, Roll 74. 3. 1830 United States Federal Census, Population Schedule, Steuben County, New York, Wayne town, Page 318; online database, Ancestry.com (http://www.ancestry.com), citing National Archives Microfilm Publication M19, Roll 107. 4. Census of 1851, Norfolk County, Canada West, District 25, Subdistrict 225, Middleton township, Page 5 (stamped), Lines 2 to 9, Mulford M. Putman household; digital image, Library and Archives Canada (http://www.bac-lac.gc.ca/eng/census/1851/Pages/1851.aspx : accessed 10 March 2013); Library and Archives Canada Microfilm C-11741. 5. Minisink Valley Reformed Dutch Church Records, in Collections of the New York Genealogical and Biographical Society (Bowie, Maryland : Heritage Books, Inc., 1992), Walpack Church Record, page 34, John Potman birth and baptism entry. What Do Family Tree Maker Users Do Now?